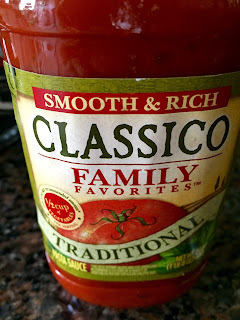 This is one of my favorite go to recipes when the family is craving some Italian (and I don't have to feel guilty after having a plate or two). 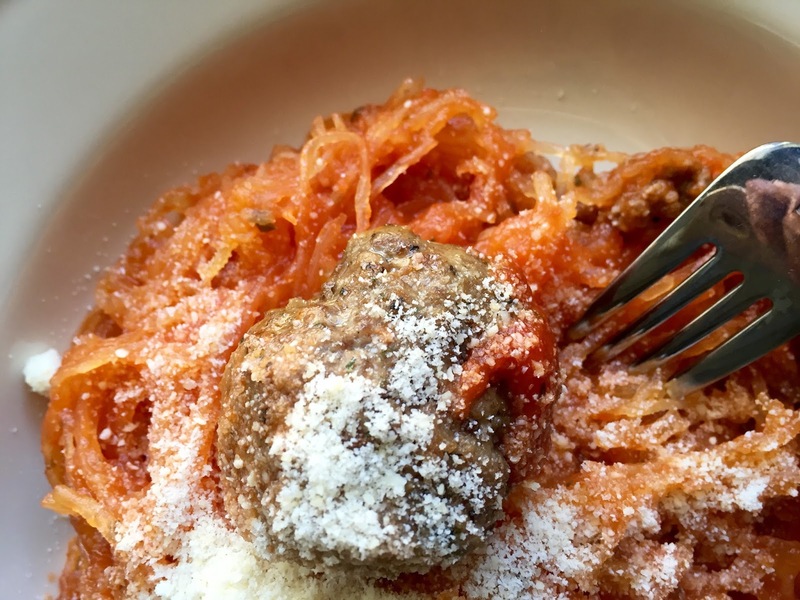 -Our grocery store butcher makes "ready to bake" meatballs fresh or you can make your own following the recipe below. 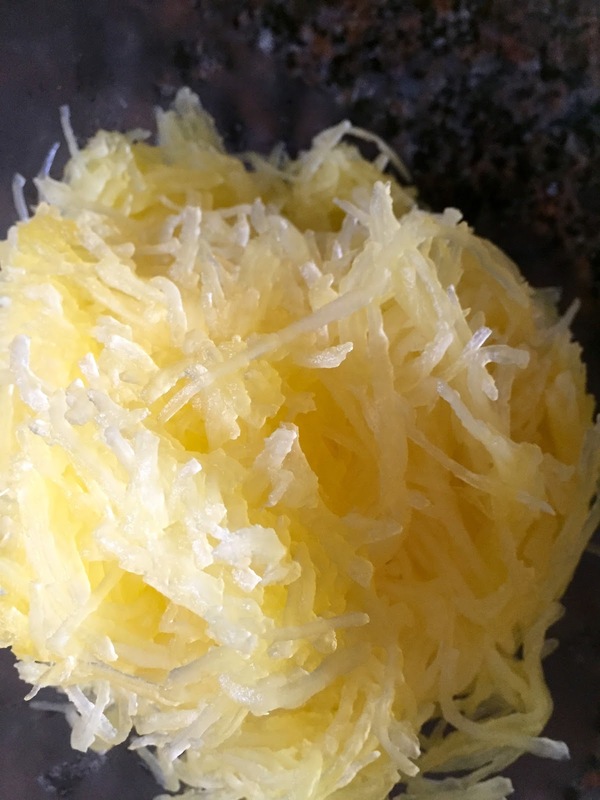 - Cut your squash lengthwise and scoop out the membranes and seeds. -Combine all ingredients and shape into 20-24 meatballs (1 to 1-1/2 inches each). -To oven bake: Place in ungreased 9x13 pan (you may want to line it with foil for easier clean-up). -Bake 20-25 min or until light brown and cooked through; turn meatballs halfway through, if desired, to help maintain a round shape. 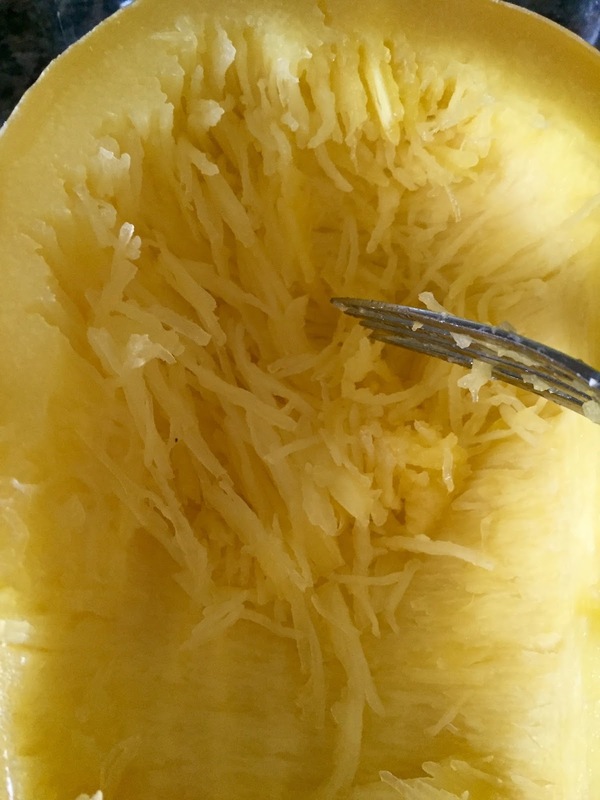 -Once the squash is done remove from the water and take a fork to gently scrape. The flesh will separate easily into spaghetti like strands. 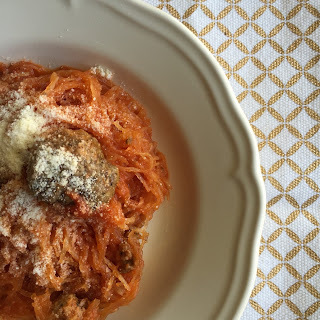 - After baking your meatballs remove and add them plus your sauce to the bowl of spaghetti. Mix it all together, top with parmesan cheese and enjoy!